During the 1990s an elite group of French perfumers started to experiment away from the traditional floral notes and came up with fresher, lighter compositions. This is how the fruity family group came to life. It is characterized by refreshing, airy, sweet and fruity nuances. Fruity aromas struck a chord with the ever evolving preferences of the modern consumer. As a result this group has expanded ever since to include all types of exotic fruits forming a true fruity extravaganza. 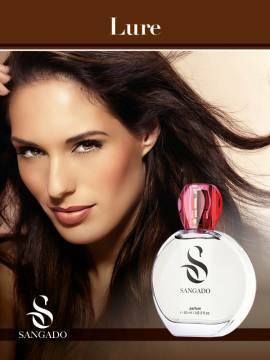 Our recommended SANGADO fruity perfumes use premium-quality essential oils in high concentration (class PARFUM). Choose your SANGADO perfume with a strong scent at the cheapest possible price. A delightful, clean and crisp citrus fragrance. Sparkling and cheerful, Citrus garden contains abundance of citrus fruit and exotic ingredients. The result is an ultra-modern and irresistible fragrance.